The platinum-selling rock group Ugly Kid Joe returns with first new music in over a decade and a half. Platinum sellers Ugly Kid Joe have come back after a long vacation, and they’re ready to rock harder than ever. 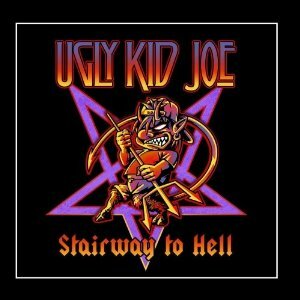 The California band’s new EP, Stairway to Hell, is due on April 16th through MRI, and it contains songs that span the full repertoire of influences that made Ugly Kid Joe the soundtrack for young snowboarders, surfers, and keggers worldwide. Watch the video for the single, “I’m Alright”, below. *bonus content on the physical CD only. 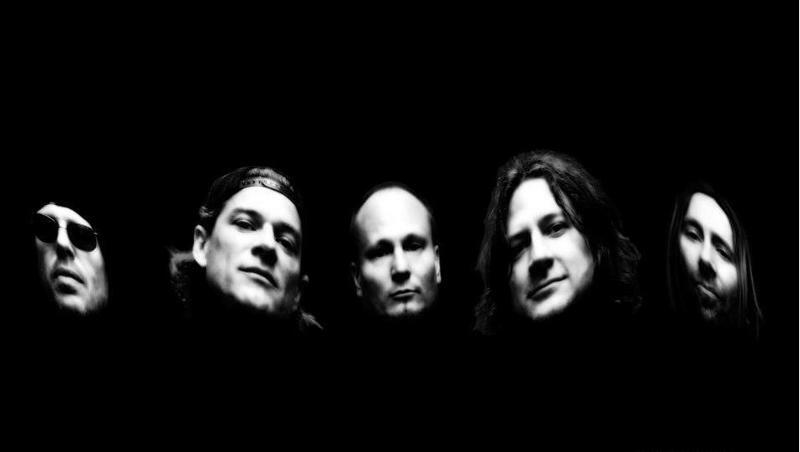 Whether it’s the hypnotic riffery of “Devil’s Paradise”, the melodic power-fueled darkness of “No One Survives” or the irrepressibly chuggin’ chorus of “I’m Alright,” Stairway to Hell makes it clear that Ugly Kid Joe has everything they started with, and have added fatter chops and a superior grip on songwriting to their arsenal. Tour dates are to be announced soon so be sure to follow Ugly Kid Joe on Facebook, Twitter, and their official site to get the latest news on the band! Page links are provided below. Iconic British rock band The Cult have released their new album Choice of Weapon on May 22nd via Cooking Vinyl/MRI, the group’s first studio album in five years! Co-produced by long-time Cult collaborator and producer Bob Rock (Metallica, Bush) and Chris Goss (Queens of the Stone Age, U.N.K.L.E. ), the album was written by founding members Ian Astbury and Billy Duffy. Choice of Weapon is aimed at the heart of The Cult’s loyal following, and according to the members, it reflects their current discontent with the destruction of the world’s eco systems, search for individual meaning against a tide of rampant materialism, narcissism and disconnected lives. Read a recent interview from Rolling Stone to get a look into the making of the album. You can also watch the band’s live performance on Jimmy Kimmel Live, here is “For The Animals,” “Wildflower” or watch the entire show! Choice of Weapon is streaming week of release at AOL Spinner and is available digitally on iTunes, physically on Amazon and all other retailers. For tour, news and more information, follow The Cult online and visit www.thecult.us. More ‘stache coverage on The Cult here. Tags: Bob Rock, Bush, choice of weapon, Chris Goss, cooking vinyl, jimmy kimmel live, metallica, mri, new album, Queens of the Stone Age, RED, the cult, U.N.K.L.E. The Single is Streaming Now at MSN Listening Party + New Lyric Video for “Lonely”+ US Tour! Today, April 24th, marks the release date for contemporary guitar legend Walter Trout‘s passionate new album Blues for the Modern Daze. His 21st studio album, Blues for the Modern Daze returns Trout to his blues roots and finds his songwriting at a creative and personal zenith. The album, released through Provogue Records/ Mascot/ MRI, is currently streaming in full as part of MSN Music’s Listening Booth series, and you can also check out the lyric video for the first single, “Lonely” below. Walter Trout‘s US tour kicks off later this week in Solana Beach, CA, and continues through September, see dates here and read up on all our Walter Trout ‘stache coverage here. New album, Choice of Weapon, 5/22 through Cooking Vinyl/MRI! The Cult are set to release Choice of Weapon, their ninth studio album, on May 22nd. 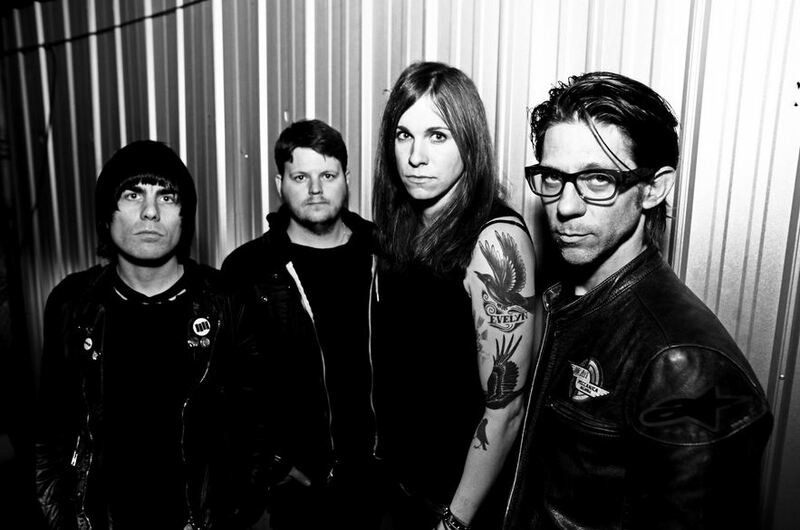 The record is their first full-length work in five years, though the band has kept active by putting out “capsules” of new songs and live recordings in recent years. Co-produced by Chris Goss (Queens of the Stone Age, U.N.K.L.E.) and longtime collaborator Bob Rock (Metallica, Aerosmith), Choice of Weapon was made in several studios, including the band’s own Witch Mountain as well as spots in New York City, Los Angeles and the California desert. Rolling Stone caught up with frontman Ian Astbury to talk about his inspiration for the new album, which addresses the many things he believes are poisoning contemporary culture. Read more and preview ‘Lucifer’ from upcoming album Choice of Weapon (5/22) over at Rolling Stone. Get your free download on the band’s Facebook page. In recent news, The Cult song ‘She Sells Sanctuary’ was heard around the nation during the Super Bowl in a Budweiser commercial to the tune of a Flo Rida mashup. Check it out here.